NOW AVAILABLE! 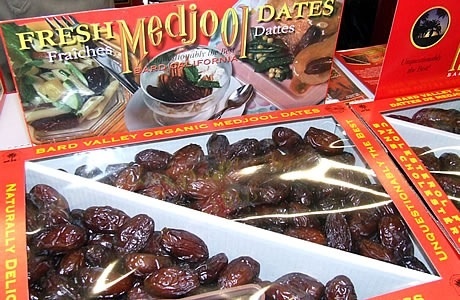 ORGANIC medjool dates! Great for recipes and just eating on their own! Delicious! The fruit’s large size also lends well to stuffing once the pit has been removed. Walnuts,almonds, and honeycomb are some of the more traditional things that cooks can put inside, but there is a lot of room for creativity. Some people put other fruits, small pieces ofchocolate, or savory meats into the pit cavity in order to create a one-of-a-kind taste.